Prime Minister Vladimir Putin has called on Europe to make a decision on whether it wants the North Stream gas pipeline. Otherwise, he said, Russia would concentrate on liquefied gas production. “Europeans have to decide whether they need the pipeline’s gas in the amounts that it arrives. If they don’t, then we won’t build a pipeline, we’ll build liquefied gas factories and sell it on the world market,” Putin said after talks with Finland’s Prime Minister Matti Taneli Vanhanen in Moscow on Wednesday. Russia’s Premier said that it should be “a mutual responsible decision, taking into account the world’s energy and the European economy”. He added that Russia is not forcing the EU into making a decision. But suggested that European consumers need it more than Russia. “If the pipeline is of no need, we’ll get liquefied gas and sell it in tankers on the world market, including the European market, but that’s going to be more expensive, and it’s easy to calculate,” Putin warned. He also said that Russia would work with environmental organisations in the building of the pipeline, adding that green groups would be provided with all the information they needed. 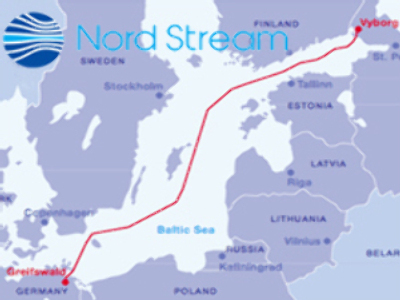 The Nord Stream pipeline is to transport Russian gas to European customers, bypassing transit countries. It is to run along the seabed of the Baltic Sea.